Our best RV mattress reviews 2019 looks at the best camper beds available this year and presents our best five. The best camper mattress might not correspond with the best mattresses for home use, and we explain why in the Buyer’s Guide you will find after our best RV mattress reviews. If you have an RV (Recreational Vehicle), then whether it is a small camper van or large motorhome, you will want to enjoy a comfortable sleep each night. The mattresses that come with such vehicles tend to be thin and offer little comfort. If you prefer to sleep in a specific position or have some form of orthopedic issue, then you will usually need to purchase an alternative mattress to the one that comes with your vehicle. This review presents the best 5 RV mattresses we have found. After we have provided details of these, you will find a Buyer’s Guide to help you to make the best choice for your own specific needs. So let’s first look at the five we have chosen. Note: Size differences above. Standard sizes may be suitable for larger RVs, motorhomes, and trailers where ‘Short sizes’ are not needed. Some SQ mattresses are 75” and others 74”. The latter are identified in the table. a) 3” Memory foam layer on top. b) 2” Comfort foam designed to relieve the initial pressure on the pressure points: e.g., shoulders, hips, pelvis. c) 5” High-density base support foam to provide the core support of the mattress, helping it to be ideal for all types of sleeper: side, back, and stomach. The memory foam used contains natural plant oil that has replaced some of the traditional petroleum-based oil in order to help keep the mattress greener and fresher. A major benefit of memory foam is that it molds to the contours of your body. It, therefore, provides support for your main pressure points as explained above. If you suffer lower back pain in the lumbar region, the Zinus Ultima Comfort memory foam RV mattress can help reduce or even eliminate it. As your shoulders and buttocks sink into the memory foam, your spine is supported in its natural shape, thus reducing pressure on the vertebrae of your lower back. Memory foam conforms to the natural shape of your spine and pressure points. The layer of comfort foam and the high density foam below that supports your entire body and helps prevent lower back pain. The 5-inch layer of high density support foam also ensures long-lasting durability. The Short Queen size is ideal for most camper vans and other types of RV. 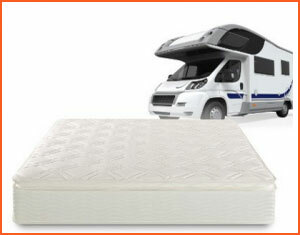 Alternative mattress sizes are available for use in larger motorhomes. The foams used are CertiPUR-US certified to be free from ozone depleters, phthalates, heavy metals, and other potentially toxic materials. 10 Year limited warranty for manufacturing defects. Editor’s Notes: Like most mattresses that are supplied rolled up, you must give it enough time to expand to its correct dimensions. Many people get impatient, but leaving it overnight should be fine. 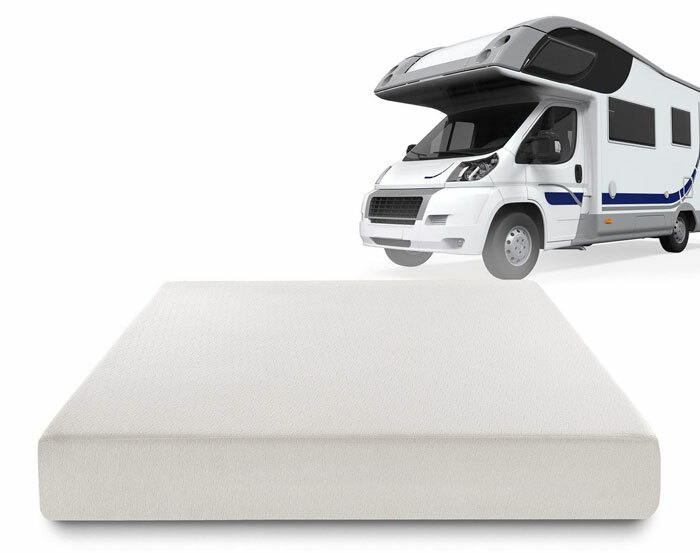 The Zinus Ultima Comfort Memory Foam RV mattress is an excellent high quality mattress for use in campervans, motorhomes, trailers and other forms of RV (recreational vehicle.) The mattress provides a combination of comfort and targeted support for your main pressure points. If you have lower back pain or arthritis, yet love going on vacation or just traveling about in your RV, then this is our #1 recommended RV mattresses for you. d) 2” Memory foam top layer. e) 2” layer of comfort foam beneath that, designed to absorb pressure and provide with a good, comfortable night’s sleep. f) 4” High-density base support foam to provide the core support for your weight, helping it to be an ideal mattress for the side, back and stomach sleepers. Like the Zinus Ultima, this mattress is made using natural plant oils, helping to keep the mattress fresh. Like any memory foam mattress, the Zinus deluxe memory foam mattress supports your spine and pressure points, as has already been explained, and also helps relieve back pain. If you suffer lumbar or lower back pain, then this mattress is for you. It reduces the pressure on your vertebrae and supports your spine all the way down from your neck to your pelvis. 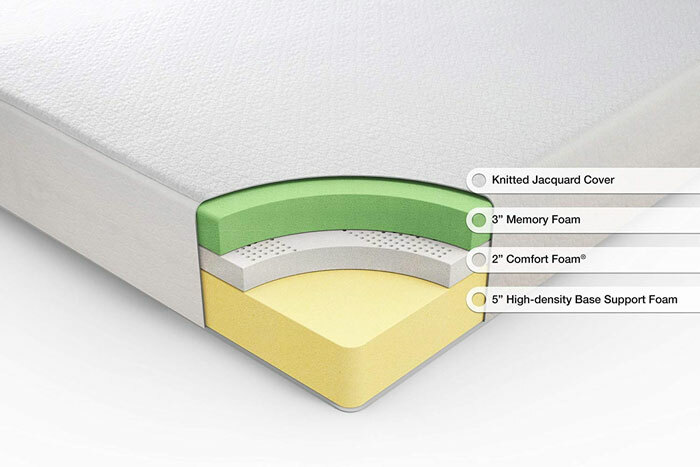 Memory foam supports your pressure points and helps your spine retain its natural shape. The layer of comfort foam and the high density foam below that supports the weight of your entire body, and in so doing, it helps prevent pain in your lower back – your lumbar region. The Short Queen size is ideal for most RVs including camper vans and other types of motorhome. CertiPUR-US certified foams which are free from ozone depleters, phthalates, heavy metals, and other potentially toxic materials. This mattress has no real negatives. It does need enough time to expand to its correct dimensions after removing it from the box. Editor’s Notes: The Zinus Deluxe Sleep Master RV mattress is another superb mattress for use in motorhomes, trailers, camper vans, and other forms of RV (recreational vehicle.) Your pressure points are supported and enveloped by the memory foam and comfort foam layers, while the bottom support layer provides stability and a good foundation for the softer foams above it. If you enjoy traveling in your RV but have orthopedic issues or lumbar pain, then this is a good mattress choice for you. The only genuine difference between this RV mattress and the Zinus Ultima Comfort Memory Foam 10” mattress above is in the thickness. If you like memory foam, then our #1 choice gives you an inch more. The Serenia Sleep RV mattress features well in most of the important aspects of a good RV mattress. It has a top 2-inch layer of open cell memory foam that absorbs the pressure of your pressure points. The top layer is of medium firmness (2.5 lb density), and this lies over a 6-inch layer of high density support polyurethane foam. The cover and foams are hypoallergenic, meaning that they protect from allergens such as dust mites. The cover is made using a 4-way stretch knit fabric which lies smoothly over the area of the mattress. The open-cell memory foam helps you sleep without getting too hot during the night. This is a close to a luxury regular bed as you get with a camper mattress. This is your best choice if you want to travel comfortably. Its short sizes are ideal for campervans and other forms of RV. Memory foam top layer supports your shoulders and hips, and also your pelvic area if you sleep on your back. It is suitable for all types of sleeper. Available in short sizes for RVs. Limited manufacturer’s warranty against workmanship and material faults. The cover cannot be removed: You need to buy a mattress cover if you want to protect it with a removable cover that can be washed. Warrant details are available only on request from the seller. Editor’s Notes: This is an excellent choice of mattress for a motorhome. It is a good thickness at 8 inches and offers all you may want for in an RV mattress. It suits sleepers in all positions and provides you with a high level of comfort – just what you want after a day’s driving. There were no negatives to this mattress that we could find other than a lack of warranty information. a) 1” memory foam top, to take the hardness off the mattress and allow a level of reduction of the pressure on your shoulders, hips and other pressure points. b) 2” of super-soft foam to add to the comfort of the top layer. c) 3” of a higher density support foam to hold your weight. The lack of pressure on your shoulders, hips, pelvis, knees, etc. enables you to enjoy a comfortable sleep throughout the night. The 6-inch thickness of the mattress enables you to easily store it away in the morning. The cover is a rich poly Jacquard fabric that is very comfortable to lie on. Absorbs the pressure on your pressure points for a more comfortable sleep. Even weight distribution to help prevent or alleviate back pain. Very comfortable to sleep on for a 6-inch thick mattress. CertiPUR-US certified foam: Free of ozone depleters, heavy metals, phthalates, and other toxic or environmentally unfriendly substances. Contains active charcoal to absorb odors and moisture. 10-year warranty against manufacturing defects. If you don’t like the mattress, you may return it between 30 and 90 days of purchase for an 80% refund. Six inches may be too thin, in which case there are thicker versions of this mattress available. No shorter version of this mattress, although you could opt for the Full size at 54” x 75”. There is no sleep trial period apart from the 30-90 day return period – and even then you get just 80% of the purchase price returned. However, very few people return this mattress. Editor’s Notes: This is a good choice if you prefer a thinner mattress that is easily stored away when not in use. It is suitable for most larger RVs and motorhomes. There is a Full version available at 54” x 75” long. Otherwise, it is an excellent choice of mattress for traveling. The memory foam helps to absorb the pressure on your shoulders, hips, and knees while you also get good comfort and support from the other two layers. The Lucid 10-inch gel memory foam RV mattress comprises two layers: a top 2.5” layer of gel infused memory foam and a base support layer of 7.5” of high density poly foam. The result is a medium firm mattress, one of the best camper mattresses we have reviewed. The memory foam is not only infused with heat-absorbing gel particles but is also ventilated for maximum airflow. The result is an extremely comforting yet supportive mattress that keeps you cool during the night. The memory foam layer may be just 2.5 inches thick, but it is enough to relieve the pressure on your shoulders, hips, pelvis and other pressure points (elbows, knees, etc.). It has been designed particularly for campers and RVs, to provide maximum comfort, whether at home or in your RV away from home. Gel-infused ventilated memory foam absorbs your body heat and provides a good flow of air to keep you cool during the night. The structure of the mattress helps it to last and maintain its properties without leaving long-lasting indentations or body impressions. Designed specifically as a camper or RV mattress. Fitted with a soft cover of 10% Tinsel lyocell and 90% polyester. This is a natural cellulose fiber made from tree pulp. CertiPUR-US certified to be free from toxic materials and chemicals harmful to the environment. It contains no latex, CFCs, ozone depleters, phthalates, heavy metals formaldehyde or VOCs. Hypoallergenic and safe for those that suffer from common allergens such as dust mites. Some regard it as being too firm for them. Otherwise, we have found no negatives. Editor’s Notes: Everybody’s perception of a mattress is different. Some may feel that this is the best RV mattress available, and it is in our top 5 for a reason. It reduces stress and compression of your main pressure points, so helping you to avoid pain in your shoulders, hips and your lower back when asleep. Memory foam is an ideal sleeping surface for those that sleep on their side or back. By absorbing this pressure, and by keeping your RV mattress cool while you sleep, you can enjoy a good, relaxing sleep. Comfort: You need to be comfortable in bed for a good night’s sleep. Warmth: You will not sleep well if you are too cold – but then again, you will also sleep badly if you are too hot and sweating. Support: You need support for your shoulders, hips, arms, knees, neck and so on. Without adequate support, your spine could get out of shape, and you could start to develop pain in your neck, lower back, shoulders, hips, and even your arms and knees. Hygiene: You want a mattress that is hypoallergenic, meaning that it helps you to avoid the common allergies from sources such as dust, dust mites and chemicals in the mattress. Size: you may be limited for size in your RV – particularly in the smaller camper vans. Your camper mattress must be of a suitable size, or it may not fit the space you have available. Larger motorhomes and trailers may not present such issues, although a mattress that is easy to travel with is likely to be better than a heavy, thick orthopedic mattress. No doubt you can think of a few more, but if you get those above right, then you will be most of the way to choosing the ideal RV mattress for your needs. So the best RV mattress for you will likely be shorter than a normal household mattress, and easy to move around. First, you must consider the type of RV you have. They can range in size from a motorhome the size of a small house to small camper vans that are no more than Ford Transits fitted with a sink, cooker, and space for a small mattress. Short Queens are usually 60 inches by 74 or 75 inches in size. Short Fulls are 48 inches x 75 inches and Short Kings 72 x 80 inches. 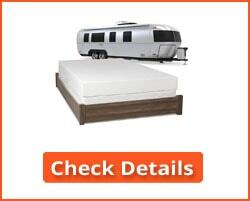 The dimensions are very important since the mattress must fit into the vehicle you have. So, #1 is size! The type of mattress you choose is also important. Memory foam absorbs the pressure of your pressure points as it folds around you. It helps to prevent muscle and joint pain – which can be important when you are on vacation. If you already suffer from lower back pain, then a memory foam RV or camper mattress will be essential. It will help to reduce the pain you already suffer. If you tend to sweat at night, a gel memory foam mattress would be ideal. The gel absorbs heat, then releases it again so it can be dissipated out of the bed. The depth or thickness of the mattress is also an important factor. 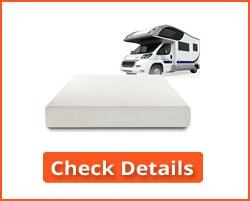 Campervan and RV mattresses tend to start at 6” high and range to 12”. What’s the difference between the various heights or thicknesses? You may think that the thicker mattresses offer more comfort than the thinner options. Generally, you would be correct in thinking so. So what’s the difference? Why use a thin mattress when a thicker one would do? It’s fairly simple to understand. First of all, it would make sense to believe that a 12” thick mattress would cost twice as much as a 6” equivalent. But would it? Not really! More expensive, yes but not twice the price, since that only applies to the raw materials. What is more significant is the weight and storage. You might be able to roll up a 6” thick mattress for storage till next needed. A 12” mattress is likely to weigh double that of a 6” mattress. That means it would be more awkward and heavier to move around than the thinner mattress, and added weight also means more gas being used to transport it over long journeys. Some RVs have a sofa bed while others have a pullout bed. In these cases, a mattress topper is likely a more practical option than a regular mattress. A topper of 2” to 4” may provide what you need better than a thinner 6” mattress. Before buying anything, you should first try out the thinner options. You may then switch to a more traditional style of mattress should these prove to be insufficient for your needs. 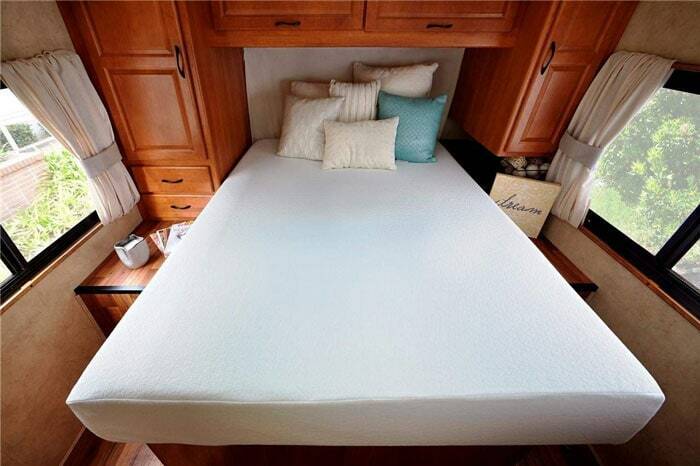 Many motorhomes can accommodate a traditional Queen or even King size mattress. If you have a large vehicle or a trailer, then measure it to make sure you know what size of mattress it will accommodate. Some have built-in sleeping accommodation that you cannot change. In such cases, make sure you know what you need before making any decision. Polyurethane and Memory Foam: If you buy a camper or RV with a mattress included, it will normally, be made using a fairly thin standard polyurethane foam. Such mattresses can be 6” or 8” maximum, and this height of poly foam mattress will not be durable. Replace it with a memory foam mattress of the same thickness, or even thicker. Higher quality foams last longer, and a good memory foam mattress will be worth every cent paid for it. Latex mattresses can be comfortable and will be more durable than a poly foam mattress. Latex, particularly Talalay latex, is durable and possesses antimicrobial properties, and is also resistant to dust mites. This is an important property for a mattress that is likely to be more exposed to the elements than a mattress that is not used in mobile homes or camper vans. Innersprings and Air Beds: Innerspring mattresses are not recommended for RV use due to their weight. The metal they contain can corrode or rust, particularly when used in damp conditions. Many people prefer to use air beds in their mobile home or camper van. They can be inflated when needed and are easy to store away when not required. 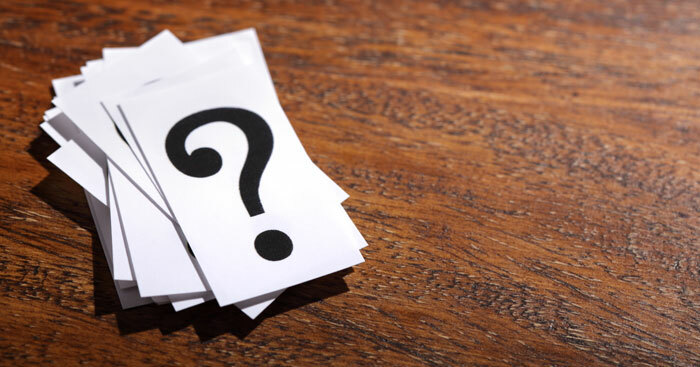 We are frequently asked questions regarding the content of our reviews. Here is a selection of the questions we have been asked on the subject of RV and Camper mattresses. 1. Can I use an electric blanket on an RV mattress? Sure you can – there is no reason why you can’t. However, if you have a memory foam RV mattress, then be careful because heat can soften it up considerably and interfere with the way it works. Memory foam is designed to soften with heat and conform to the shape of your body. An electric blanket could soften this foam too much. Also, you could void your warranty if you do this. 2. What’s the difference between regular memory foam and gel memory foam? 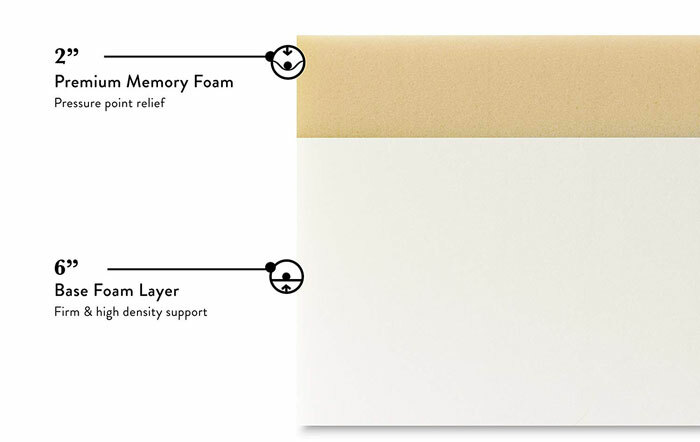 Regular memory foam has been manufactured to soften with the heat and pressure of your body. When you lie on it, your body sinks into it, and the mattress softens to conform to your body shape. As your body is held by the foam, it heats the foam up, and you also begin to feel warmer during the night. Some people can start to sweat and feel uncomfortable. Gel memory foam contains particles of a gel that absorbs this heat and that ultimately releases the heat into the room, or into the body of the RV vehicle, so helping to keep you cool. 3. How is memory foam made? 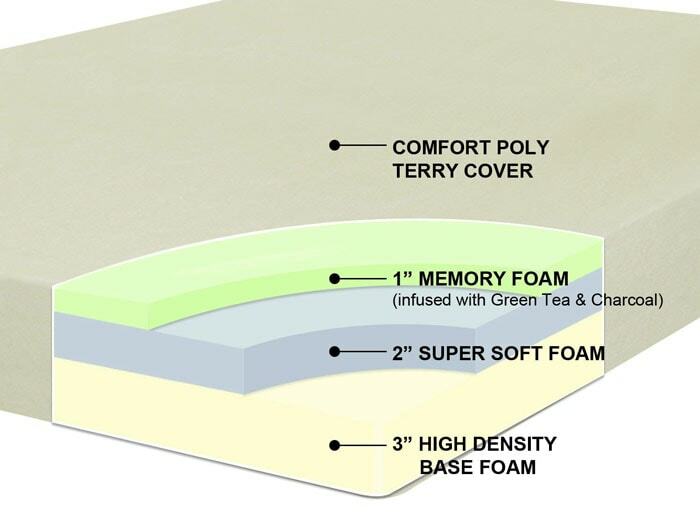 Memory foam is made from polyurethane foam. It is specially manufactured using diisocyanate monomers and a polyol (multifunctional alcohol) and water. This mixture rises like dough rises into bread. It contains lots of bubbles created by gases that are introduced into the mixture. The sizes of the bubbles can be controlled by chemicals, and the mixture eventually sets into a foam that can be used to make a mattress. 4. What is the best type of mattress for an RV? Is it memory foam, latex or just plain poly foam? By far the best type of foam is memory foam – particularly gel memory foam. In this case, the foam contains beds of a gel which absorbs heat on contact with it, and then distributes that heat throughout the general structure of the foam. 5. I have read about the ILD of a memory foam. What is ILD? Also what is IFD? The term ILD is short for Indentation Load Deflection. IFD is Indentation Force Deflection. They are different terms for the same thing – the load or force required in pounds to make a 25% indentation in a 4-inch thick foam square. Another measurement of foam is its density. A good quality foam will have a density of 4 lb – 5 lb. The density range is 1 lb – 7 lb. The softness/hardness of a foam is defined by its ILD and density. Higher density foams are more easily molded to the contours of your body by body heat while lower density foams depend on pressure to mold to your body. 6. Why are memory foams more popular than other foams for the best camper bed mattresses? 7. What is the future for RV mattresses? Will the best camper mattress still be memory foam in 20 years time? Who knows what modern technology will bring. Memory foam was developed during the heyday of the US space programs. Military needs often provide the impetus for new developments in many fields of industry. Nobody knows what the next 20 years will bring. The above best RV mattress reviews have been compiled after thorough research into the best camper mattress and RV mattresses available today. You should not go wrong by choosing one of these five options. We have used a number of sources for our comments and reviews, and are confident that they provide a true reflection of what is available in the RV mattress today.